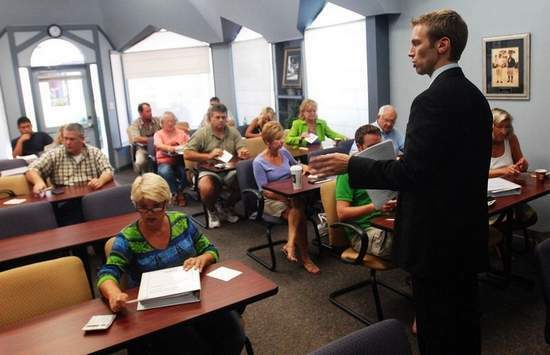 Naples Real Estate School, Larson Educational Services, has MANY class options through the end of 2013 to get your Florida Real Estate License by attending real estate classes in Naples and Fort Myers, FL. Our course is FREC approved. At family-owned Naples real estate school, Larson Educational Services (License #ZH1002299), you can complete the steps necessary to obtain your Florida Real Estate License in as little as 30 days. Because our course has a modular format, you can actually mix-and-match dates and locations if you need flexible scheduling. Just contact us and we’ll help you put a schedule together. We have real estate classes in Naples and Fort Myers, FL starting soon, or you can complete the course online. WEEKDAY and WEEKEND class times are 8:30am – 4:30pm. EVENING class times are 6:15pm – 9:45pm.